In a stand mixer fitted with the paddle, mix the almond flour with the baking powder, cardamom and salt at low speed until combined. At medium speed, beat in the almond butter, honey and vanilla until smooth. Add the chocolate chunks and beat until just incorporated. Cover the bowl with plastic wrap and refrigerate overnight. Preheat the oven to 350° and arrange racks in the upper and lower thirds of the oven. Line 2 large baking sheets with parchment paper. Scoop 1/4-cup mounds of the dough onto the prepared baking sheets and flatten into 1/2-inch-thick disks. 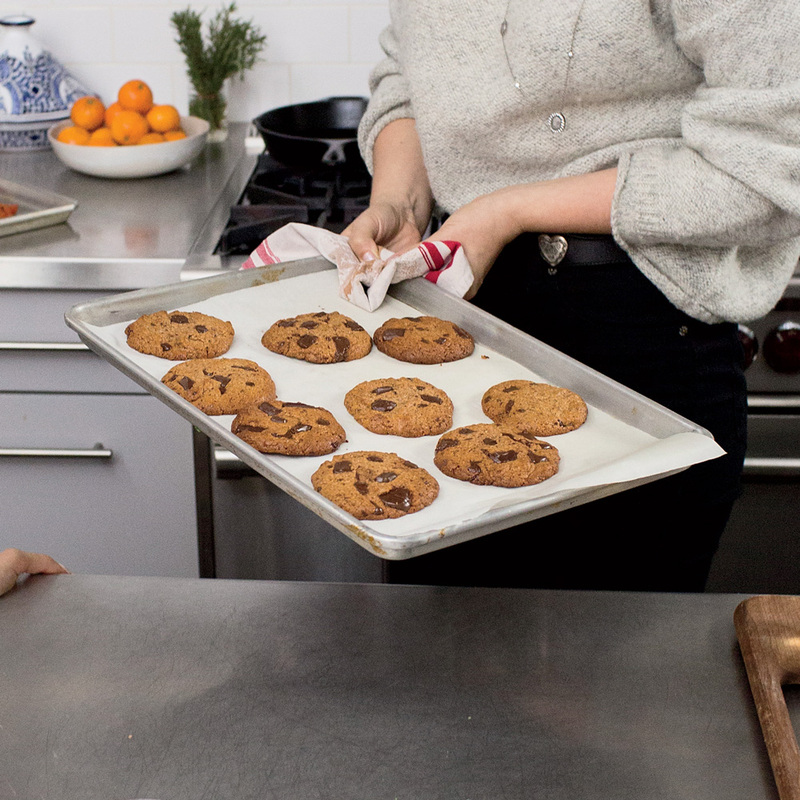 Bake the cookies for about 15 minutes, until they are lightly browned and firm around the edges; shift the baking sheets from front to back and top to bottom halfway through baking. Let cool completely before serving. Raw, unprocessed honey can be found at most health food stores and on amazon.com. Review Body: Delicious cookies and full of protein! Review Body: I needed a chocolate chip cookie that was actually good for me. Thanks!